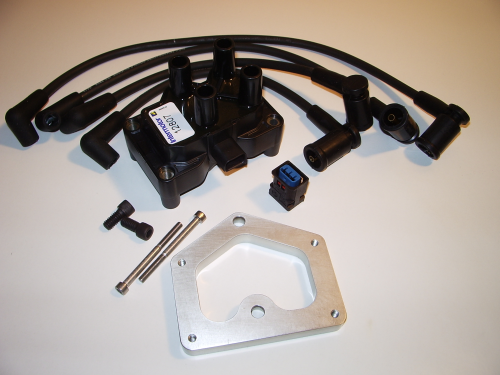 This SC kit contains all the ignition parts needed for our Twin Kam, 7 Port and 5 Port engine management kits. Specific HT leads are available for either the Twin Kam head or 7/5 Port engines. The coil bracket is also available to purchase separately. Please note that this coil bracket only fits late Ford type wasted spark ignition coils with a flat bottom.